Thank you for all the wonderful birthday wishes, I had a lovely day. Received a two-piston-compact-silent compressor from The Man. He loves me because I allow him to buy my presents at the hardware store. So I started the day by spray painting two wicker trays just to get a feel for the new machine. 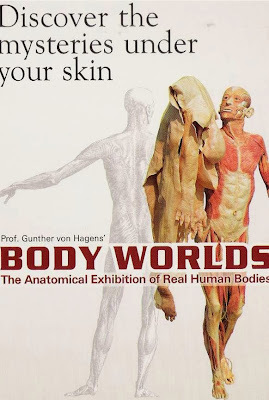 Just when it started becoming fun and I got the hang of directing the spray away from my new birthday shirt and my fingers, Eskom bestowed a power failure on us so I went off to see the Bodyworlds exhibition that I have been trying to get to for months. A rather ghoulish birthday excursion, but I just know that looking at all those flayed bodies will make me a better sculptor in future. Quite honestly, it is an awesome exhibition. Then, just for the heck of it I drove around the Kayalami racetrack at 20kph in my housewifey station wagon. One must do something insane on your birthday. When I got home I cut out the fabric pieces for Moxie, a stunning kit sent to me by Susie McMahon. I've been drooling over it for weeks. 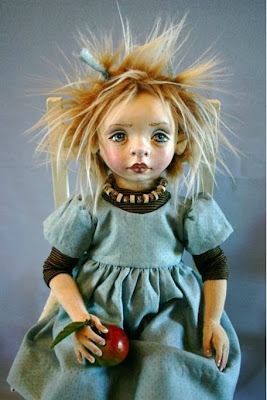 Can't wait to make the doll, I wish that mine turns out even slightly like hers, I do so admire her work. To round off the day, we had a braai (barbecue) at my mother's house. The beautiful roses are from my sister. Wow Megan, we all know that you are 101. (That is according to FB status.) Hope the queen sent you another telegram. Must be the fresh air, because you don't look it. Hope you have an awesome year ahead. was lovely chatting to you again. 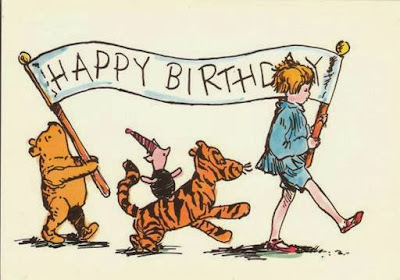 Didn't hear from the queen, but all the important people in my life touched sides, which is wonderful!